The Nike Phantom Vision Elite Dynamic Fit Special Edition Firm-Ground Football Boot brings the fierce precision of street play to the pitch. A foot-hugging Quadfit Mesh bootie is concealed in a Flyknit constructed outer layer to create a boot for the finishers, the providers and the battlers of tomorrow's game. The Nike Phantom Vision Elite Dynamic Fit Special Edition Firm-Ground Football Boot brings the fierce precision of street play to the pitch. A foot-hugging Quadfit Mesh bootie is concealed in a Flyknit constructed outer layer to create a boot for the finishers, the providers and the battlers of tomorrow&apos;s game. Quadfit Mesh bootie contours to your foot. Ghost Laces system creates concealed lockdown. Flyknit construction with moulded micro-texture provides precise touch. Love these cleats. The look of them the comfortability right out the box. Love the ghost lace system and the grip on all parts of the cleats. Not as light as light as a vapor but still doesn’t feel heavy. I will have to take a run at them in rain to see how it feels when water gets in the material. 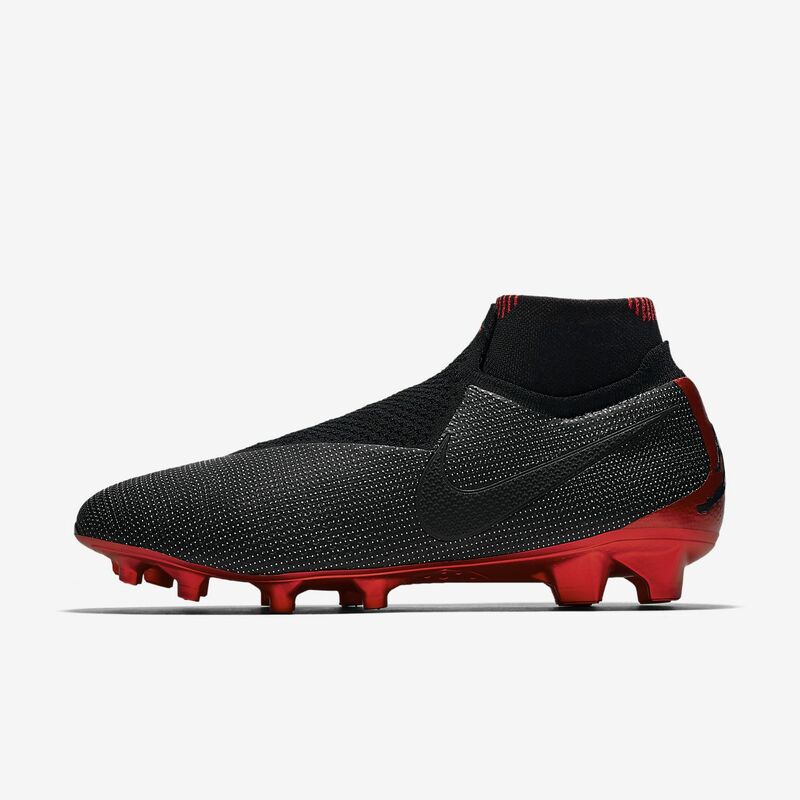 Excellent replacement for the Magista line though.